The balance of this article offers up some additional meeting types that spread stress and strife. As the manager or leader responsible for pulling people together to communicate, share and generate ideas, you are well served by eliminating these meeting types from your routine. The problem with this meeting is that no one is ever ready for it. After all, it’s 8:00 a.m. on Monday morning—nothing has happened yet and whatever happened last week is mostly ancient history. The second problem with this meeting is that for anyone to be prepared, they have to work Sunday night which is fine on occasion but guaranteed to earn you some serious votes for “jerk of the year” from employees and the family members of employees. The solution: Meet if you must, but set some rules on the updates. Ask people to focus on important news that impacts everyone or to identify challenges that require help from across functions. Do anything to limit the painful march of gratuitous and self-serving status updates that undisciplined round-the-table meetings generate. 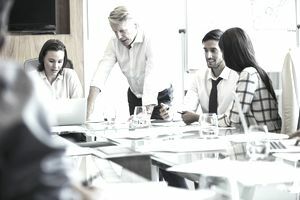 Meetings are priceless opportunities to connect, communicate, build relationships, and stimulate creative problem-solving. They are also opportunities ripe for overuse and even abuse. Strive to be the manager that respects the power and importance of meetings. Use these forums for the right reasons by architecting them to focus on key issues, solicit ideas and importantly, respect the time that everyone puts into the sessions. Your team members will appreciate your positive approach more than you may ever know.